Asked about hobbies, John says he really doesn’t have hobbies but has a long list of “things I like” which include, “roads where the trees grow over it, laughing, literature, barbecue and beer, poetry (which he calls “Poeyms”), fresh air and sunshine, being in the water, grandfathering … ” and more. John penned “The Life and Times of John Valdez” columns for The Coast News, and one of those stories became a national award winner. Some have found their way into “Eight Months,” a delightful collection of life stories. On Saturday, Sept. 16 at 3 p.m. John will be doing a book talk and signing on this new title in the community room of the Cardiff-by-the-Sea Library. Plan to join us and meet this interesting, fun new local author. Refreshments will be served. Set in Leucadia, “Eight Months” is available at iconic “Leucadian” locales such as The Pannikin, Surfy Surfy, Seaweed & Gravel and others. Signed copies will be available at the Cardiff-by-the-Sea Library on the day of the event. “Eight Months” is also on Amazon.com. 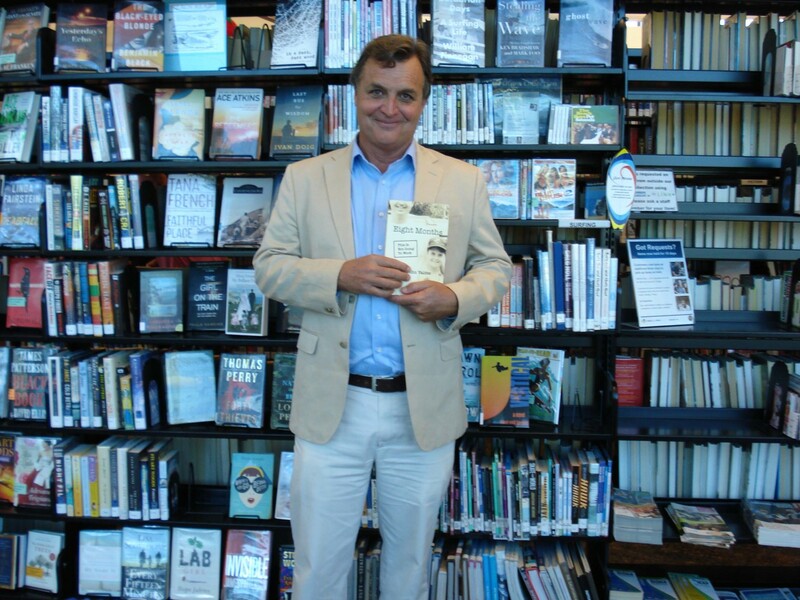 Don’t miss a chance to meet John and spend a delightful and fun fall afternoon in our air conditioned library. New author, new book are more reasons that Cardiff-by-the-Sea is the place we fondly call home.